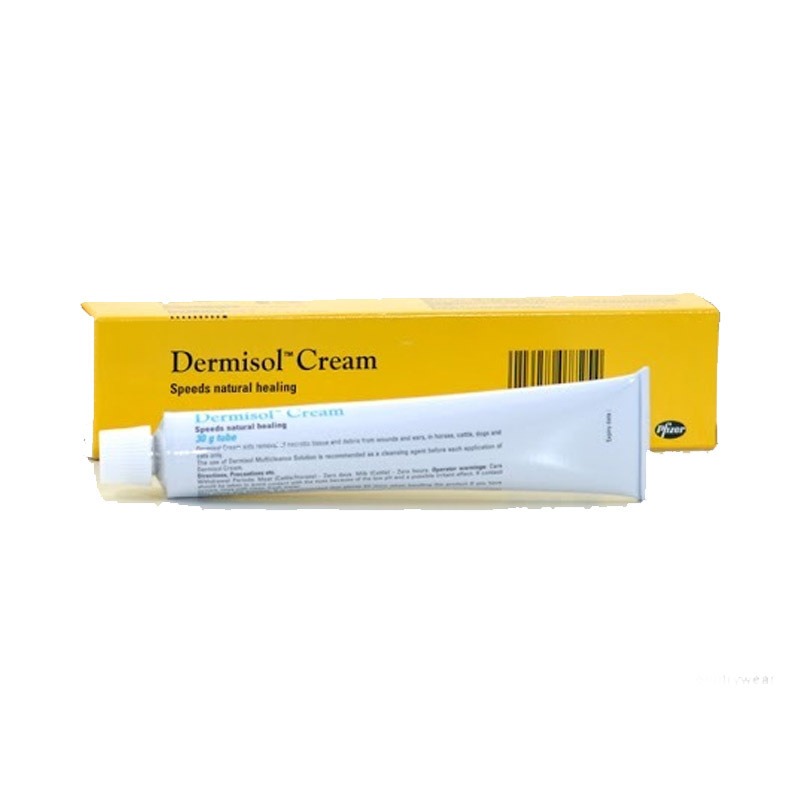 Dermisol Cream is a topical cream, applied to skin to encorage healing. It contains Propylene Glycol, Malic Acid, Benzoic acid & Salicylic Acid. It is used in horses, dog & cats to promote the skin healing process. It is useful in cases of traumatic injury, infected wounds, surgical wounds & otitis externa, as it can be effective even in cases where repair is slowed down due to the presence of debris, necrotic tissue (dead tissues due to injury or disease), debris, coagulum or wax. Dermisol Cream encourages healing, by aiding the removal of dead & necrotic tissue from the affected areas. Warnings & Contraindications- Avoid contact with eyes.